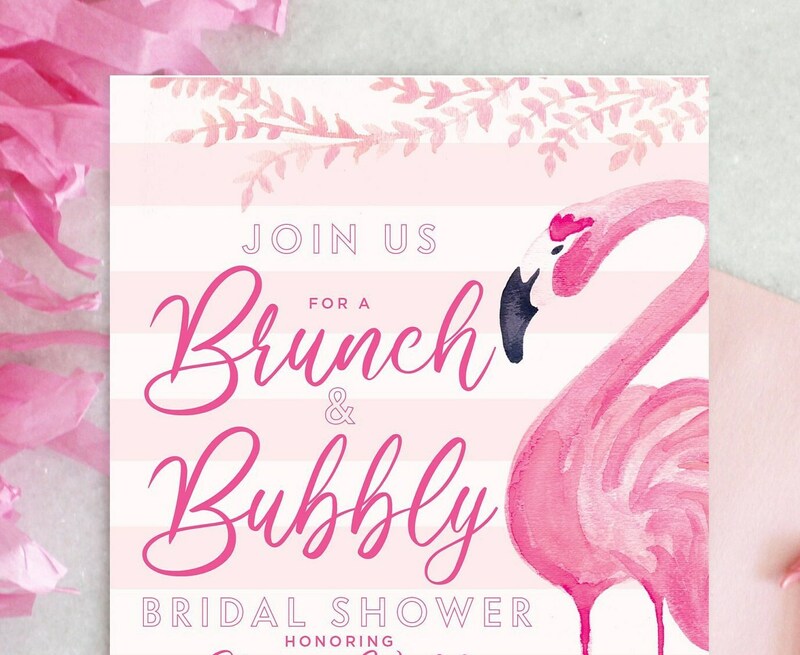 Bride + Brunch + bubbly go hand in hand to make for a perfect shower! 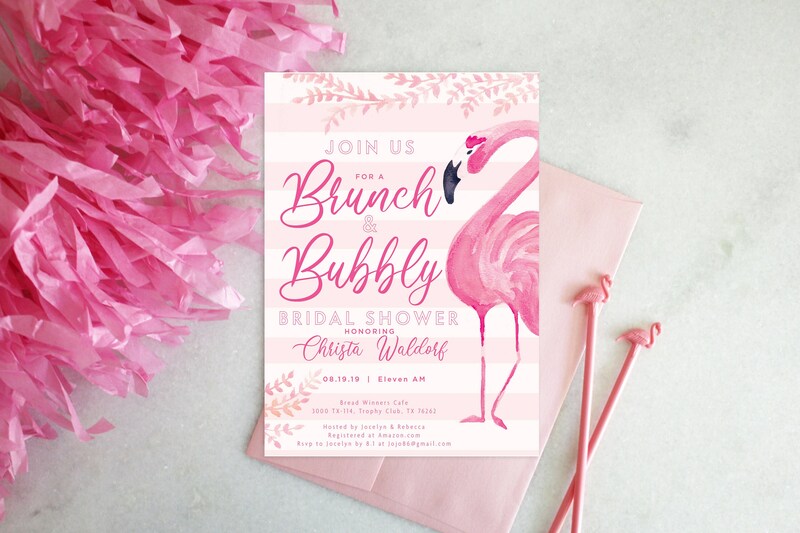 Sprinkle a few flamingo accents for a tropical touch, and your shower is sure to be a smashing success! #partytip : Keep the pink theme going with flamingo stir sticks, rosé champagne and stripes & sequins for your table scape!